Healthcare industry is one of the biggest revenue and employment generators within the country. 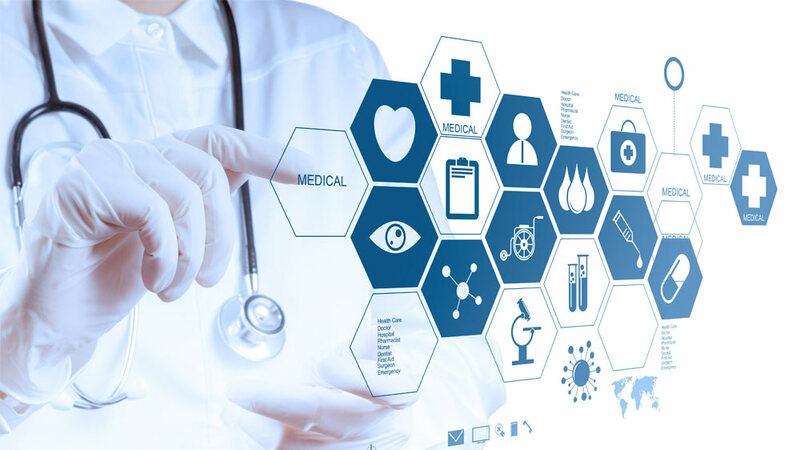 Various market research reports authenticate that the Indian healthcare industry is expected to reach USD 280 billion by 2020. Large investments by private sector players are likely to contribute significantly to the development of India’s hospital industry, which comprises around 80% of the total market, according to “Indian Hospital Services Market Outlook Report” by consultancy RNCOS. India Brand Equity Foundation (IBEF) confirms that the total size of healthcare industry is expected to touch US$ 160 billion by 2017 and US$ 280 billion by 2020. Increasing patient requirement to avail high quality care, increasing monthly spend on healthcare services and demand for accurate and timely medical care is likely to augment owing to better availability and accessibility of health related services at one’s doorstep. Considering the on-going trend of delivering an outstanding customer experience, most of the healthcare brands are counting highly on franchise model to scale their business growth across the country. In the healthcare business, franchising model is plays a significant role in marking a nationwide network as franchisors are willing to clinch business deals with prospective franchisees who do not have any medical background. If you have good financial capability, space and right location then you are probably the right choice for becoming franchisor’s partner. In the healthcare sector, Apollo Health & Lifestyle Limited (AHLL), Madhavbaug, brand of Vaidya Sane Ayurvedic Pvt. Ltd, Dr Lal PathLabs, Dr Batra’s Positive Health Clinics, MedPlus, Metropolis Healthcare, Thyrocare and many other organised healthcare brands with clinics, diagnostic and collection centres are hopping aggressively on franchising model to offer best of medical services to customers across the country. With franchising, franchisees can now invest in a healthcare franchise to achieve best returns on investment by hiring well-qualified staff and operate the clinic as per the standard guidelines of a franchisor. Enlightening about the criteria they follow for selecting franchisees, Neeraj Garg, Chief Executive Officer, AHLL informs: “Consistently superior quality of services is the cornerstone to ensure success of the clinic. AHLL therefore selects each franchisee with utmost care. A proper due diligence is carried out before finalising a franchisee.” Those who are considering to take up franchise of AHLL, an ideal franchisee needs to possess following characteristics –prior track record of running a successful business venture; should be able to devote full time or a significant amount of his time to the clinic; should be genuinely interested in the healthcare sector and strictly abide by the guidelines given by AHLL. As the old adage goes, “prevention is always better than cure.” One can compromise on anything but when it comes to healthcare; everyone is ready to splurge on best of life saving healthcare services. For franchisees and franchisors, healthcare sector is a recession free business opportunity as no one likes to risk life in any way. For any entrepreneur, looking at joining the healthcare industry, only entrepreneurial skills are required, everything else is secondary.